This preview has been provided by Heartland Baroque. Since how to please thee I shall never learn!" Heartland Baroque is thrilled to perform a concert on the upcoming 2018 North Carolina HIP (Historically-Informed Performance) Music Festival, "Baroquen-Hearted: A Valentine's Love Letter to 17th-Century Italy," a program which celebrates not only the passion and allure of Italy, but also the unabashed achievement of several of its most active composers in in the middle of the 17-Century. While some folks may associate Valentine's Day with hearts, flowers, candy, and champagne, Heartland Baroque, along with guest artist, Soprano Margaret Carpenter Haigh, is excited to enchant you with a rich and varied musical "box of chocolates!" In the baroque period, Italy is a veritable musical capital, and its cities are often considered some of the most alive and artistically innovative in the entirety of Europe. Musicians from all over Europe travelled to parts of Italy to learn from other composers, instrumentalists and singers born there, or relocated to its stimulating cultural and physical environment, and very often had their music published in Italian cities. Heartland Baroque members Martie Perry and David Wilson, baroque violins, Keith Collins, dulcian, Barbara Krumdieck, baroque cello, and William Simms, theorbo, along with guest artist, Margaret Carpenter Haigh, soprano, pay tribute to this forward-thinking musical world of 17th-Century Italy in a program of instrumental and vocal music full of deep delights from composers that include Marco Uccellini, Isabella Leonarda, Girolamo Frescobaldi, and Barbara Strozzi. Heartland Baroque will also feature selections from its first CD, The Benevolent Monarch, which will be released in late Spring of 2018. Heartland Baroque dives into this musical world with vigor, showing off the immediacy and technical brilliance, the vivacity and profundity, the lilt, complexity, and spontaneity of these composers. Bound by a passion for playing instrumental music of the 17th and 18th-Centuries, Heartland Baroque is an ensemble made up of early music specialists from all over the United States. Its members hail from North Carolina, Indiana, and California, and often perform together in other well-known historically-informed period instrument ensembles around the country. Heartland Baroque dives into the Baroque musical world with vigor, showing off the immediacy and technical brilliance, the vivacity and profundity, the lilt, complexity, and spontaneity of its composers. Heartland Baroque has performed concert tours in North Carolina, and has presented fringe concerts at the Boston and Berkeley Early Music Festivals as well for the Early Music Festival for Grace. Its debut CD, "The Benevolent Monarch," will be released by the Fall of 2018. 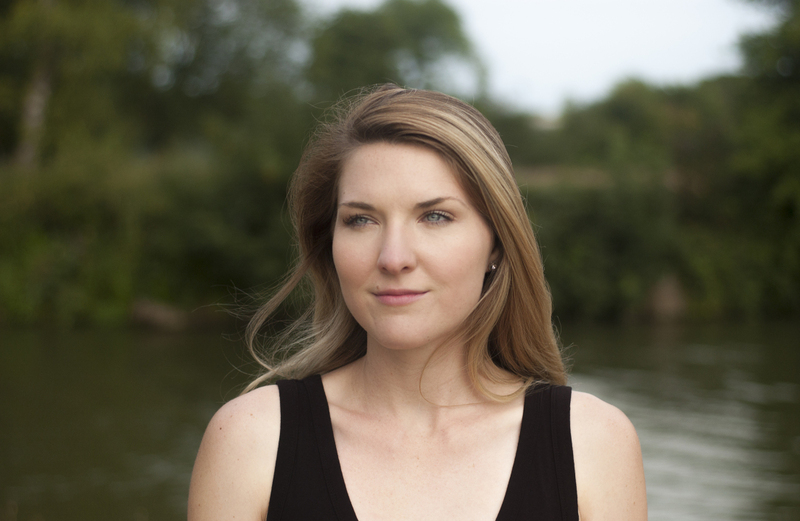 Hailed for her "clear, bright tone" (Cleveland Classical) and described as "fiery, wild, and dangerous" (Classical Voice North Carolina), soprano Margaret Carpenter Haigh is a versatile artist, with repertoire ranging from mediaeval to contemporary music. She has performed as a soloist with groups including the Portland (ME) Symphony, Winston-Salem (NC) Symphony, Oxford Bach Soloists, Apollo's Fire, Simon Carrington Chamber Singers, and Piedmont Baroque Consortium. Alongside her husband, organist and harpsichordist Nicolas Haigh, Ms. Carpenter Haigh is co-founder of L'Académie du Roi Soleil, an ensemble specializing in French music from the time of Louis XIV and with which she has performed in venues including York Minster; New College Chapel, Oxford; and Clare College Chapel, Cambridge. In the 2017-2018 season, Ms. Carpenter Haigh's engagements include solo débuts with the Memphis Symphony and the Newberry Consort, numerous Bach cantatas with the Raleigh Bach Soloists, appearances with Wyoming Baroque and Handel and Haydn Society, and the release of an album of seventeenth-century German chamber music with Ensemble Vermillian. Recent engagements of note including singing and narrating David Del Tredici's An Alice Symphony with Robert Moody and the Portland Symphony, singing alongside Mark Padmore as a Britten-Pears Young Artist in the Aldeburgh Festival, and performing at the Oregon Bach Festival. Touring engagements have taken her to Israel, Germany, and France under the baton of Timothy Brown, and she has been featured as a soloist in the Easter at King's Concert Series in King's College Chapel, Cambridge. Since 1998, C. Keith Collins has performed, recorded, and taught baroque and classical bassoon, curtal, recorder, shawm, and harp with many ensembles in North and South America. He is a founding member of the award-winning shawm and curtal band Ensemble Lipzodes, which specializes in the music of colonial Latin America. Among the many groups he has performed or recorded with are Washington Bach Consort, Tafelmusik, National Cathedral Baroque Orchestra, Chicago Opera Theater, Opera Atelier, Arion Baroque Orchestra, Apollo's Fire, Mercury Baroque, Echoing Air, Newberry Consort, Folger Consort, Bach Ensemble, and the Grammy-nominated Musik Ekklesia. As a concerto soloist he has appeared with Atlanta Baroque Orchestra, Baroque Chamber Orchestra of Colorado, and Bourbon Baroque (Louisville, KY). Keith is adjunct instructor in historical bassoon and recorder at Indiana University's Historical Performance Institute, and also teaches baroque bassoon and curtal at the University of North Texas. He has taught at Tafelmusik Baroque Summer Institute, Indiana University Recorder Academy, and has been guest lecturer at the Indiana Early Double Reed Workshop. He has been a writer for NPR's early music program Harmonia. His other interests include the history of Appalachian folk music and the banjo, early American hymnody and the shape-note tradition, and the early history and repertoire of the harp in the UK and Ireland. Keith serves as a board member for the Indiana Raptor Center, a non-profit dedicated to the rescue, rehabilitation, and release of wild birds of prey. He is part of a team that gives public presentations designed to educate the general public about raptor ecology and conservation. Barbara Blaker Krumdieck, baroque cellist, grew up in the San Francisco Bay Area where she studied cello with Katherine Scott, Mildred Rosner and Thomas Stauffer. She studied baroque cello with Phoebe Carrai at the Conservatory of Music in Hilversum, The Netherlands. While living in Europe, Barbara performed in France, Germany, and Belgium, and recorded two CDs with Concerto Köln. Barbara is a member of many chamber groups, including Ensemble Vermillian, which has recorded two CDs of 17th century German chamber music and is currently working on a project of 17th century English music. Barbara and her sister, recorder virtuoso and conductor, Frances Blaker, are cofounders of the North Carolina Baroque Orchestra, which is achieving success in the Southeastern United States. Frances and Barbara work together to provide exciting and challenging musical opportunities for their colleagues in early music, as well as having the pleasure of bringing the wonderful baroque orchestra repertoire to a new audience. As Artistic Director of the chamber music series, Music at St. Alban's, Barbara enjoys bringing a diverse group of world-class concerts to the Lake Norman area. She currently lives in Davidson, NC. Heartland Baroque's founder, Martie Perry, has a vibrant national career as a respected baroque specialist on both violin and viola. Her playing has been called "…ideally realized…taut and loaded with nuance" by the Atlanta Journal-Constitution, and "highly expressive" by the Boston Musical Intelligencer. Martha performs with many U.S. period instrument ensembles including the Indianapolis, North Carolina, and Atlanta Baroque Orchestras, Washington Bach Consort, Bourbon Baroque, Three Notch'd Road, Spire Chamber Ensemble, Mallarmé Chamber Ensemble, Musika Ekklesia, Bach Collegium Fort Wayne, and ¡Sacabuche!. She earned a Master of Music in Early Music Performance/Baroque Violin at Indiana University, where she studied with Stanley Ritchie and served as the graduate assistant for the baroque orchestra. Martha has been heard in a live international broadcast on Chicago's WFMT radio, on the early music program "Harmonia," and on N.P.R. 's "Performance Today," and has recorded for ATMA Classique, IndieBarock, Edition Lilac, Musica Omnia, Naxos, WFIU, Cedille, the National Cathedral, and Concordia Publishing. William Simms is an active performer of early music. Equally adept on lute, theorbo and baroque guitar, he appears regularly with Apollo's Fire, The Bach Sinfonia, The Washington Bach Consort, Ensemble Vermillian and Harmonious Blacksmith. He has performed numerous operas, cantatas, and oratorios with such ensembles as The Washington National Opera, The Cleveland Opera, Opera Lafayette, and American Opera Theatre. Venues include The National Cathedral, The Museum of Fine Arts Boston, The Library of Congress, The Corcoran Gallery, The Kennedy Center and The Barns at Wolftrap. He has toured and recorded with The Baltimore Consort as well as with Apollo's Fire. His recording with Ronn McFarlane, Two Lutes, was the CD pick of the week on WETA in Washington DC in 2012. An avid chamber musician, David Wilson plays regularly with Ensemble Vermillian and Magnificat, and he is a founding member of Archetti, the Galax Quartet, Aurora Baroque, and other ensembles. A co-founder of the Bloomington Early Music Festival, he also performs regularly at the Boston Early Music Festival and the Berkeley Early Music Festival. He has taught baroque violin at Indiana University, where he earned the Doctor of Music degree in Early Music, and he holds degrees in violin from Bowling Green State University in Ohio and The Catholic University of America in Washington, D.C. In recent years he has performed and recorded classical music of India and the Ottoman Empire with Lux Musica (East Meets West Music and Golden Horn Records), contemporary music with the Galax Quartet (Innova Recordings), and 18th century concerti with Archetti (Centaur Records). His interests outside of music include cosmology, zymurgy, and science fiction (and he would love to discover a science fiction novel about a homebrewing cosmologist). He is the author of Georg Muffat on Performance Practice, published by Indiana University Press.